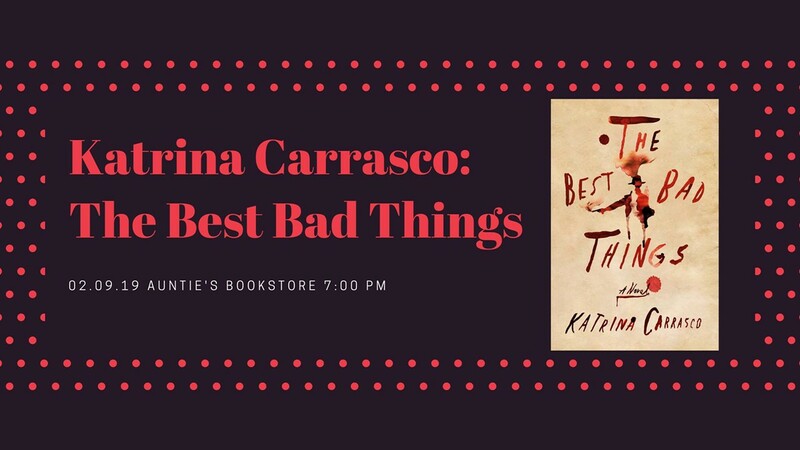 Debut novelist Katrina Carrasco’s first book of fiction, The Best Bad Things, centers on a former Pinkerton Women’s Bureau Agent Alma Rosales who, in the late 1880s, goes undercover to find stolen opium in Washington Territory. In trying to impress her boss and ex-lover, Rosales finds herself in bloody and lustful confrontations. The Best Bad Things notably works as a trailblazer in the crime genre by adapting a queer perspective. The book landed on a number of lists for 2018’s “best crime” books, and she’ll be discussing it at this Auntie’s stop. Carrasco’s other works have appeared in Witness, Post Road Magazine and Quaint Magazine. She holds an MFA in fiction from Portland State University.